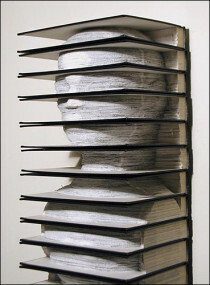 Brian Dettmer must have a lot of time on his hands. Or he must really love what he does. Hopefully both, considering he says he's in his studio ten hours a day, five days a week. 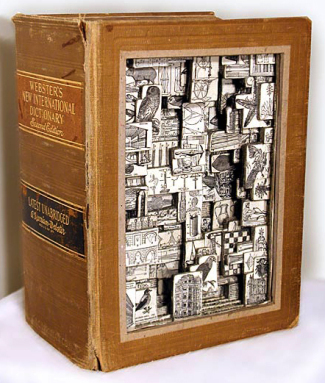 Chicago-native turned Atlanta-resident Brian Dettmer is a type of book surgeon, slicing through old tomes with knives and surgical tools to transform them into an almost entirely new creation. These volumes are stripped down to reveal a unique interpretation and composition of what laid dormant and concealed within the original structure. Dettmer knows that we live in a fast-paced world where obsolescence is standard, especially in terms of the information we receive and how quickly it can change. Therefore, he has taken it upon himself to redefine these outdated vessels of knowledge whose original functional purpose may no longer be applicable. By deconstructing this media, he expands its purpose into the realm of art and recontextualizes its content. Armed with the proper instruments for this delicate job, the meticulous dissection process begins. He claims that a lot of what he focuses on depends on the book itself: If he's carving out an old science text, then it's considered more of a dissection; if it's about history, then it's more about the way the past is told and how it could be redefined. Archaeology is an excavation process, and so on. 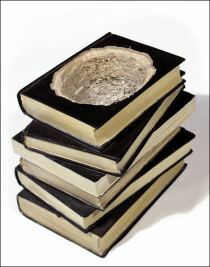 The task begins by sealing the book's edges, which creates "an enclosed vessel of unearthed potential." 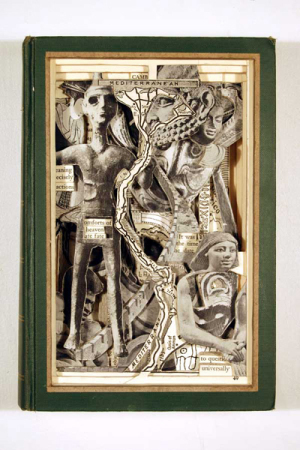 From there, the heavy work begins, carving first through the cover, and then each page in order, exposing the subject's concealed inner nature. Nothing is ever added or altered, only stripped away to unveil newly formed compositions and relationships. 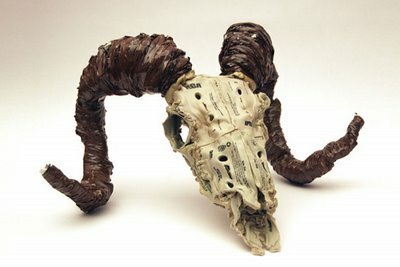 Dettmer also works with old video tapes and cassettes to construct the new from the old, melting these relics to produce works that are reincarnated with refreshed purpose. 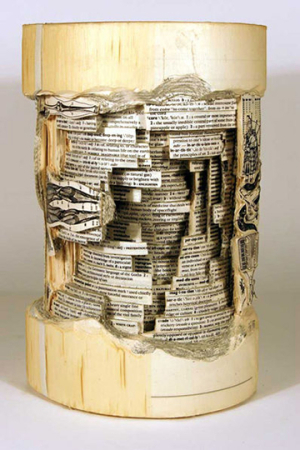 Currently, these brillant pieces of incredibly intricate book art are on display at the Packer Schopf Gallery in Chicago.